Thousands of thrill-seekers from across Wales slipped, slid and stumbled across ten tricky obstacles as the world’s biggest inflatable obstacle course came to Cardiff for the first time. 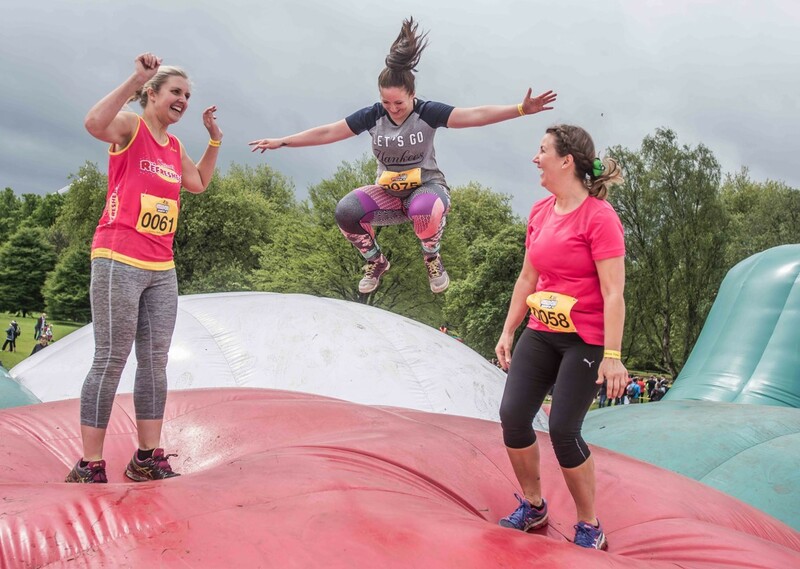 A total of 5,000 people took on obstacles including Europe’s tallest inflatable slide and the world’s biggest bouncy inflatable at Gung-Ho! 5k, held at Bute Park on Saturday (21st May). 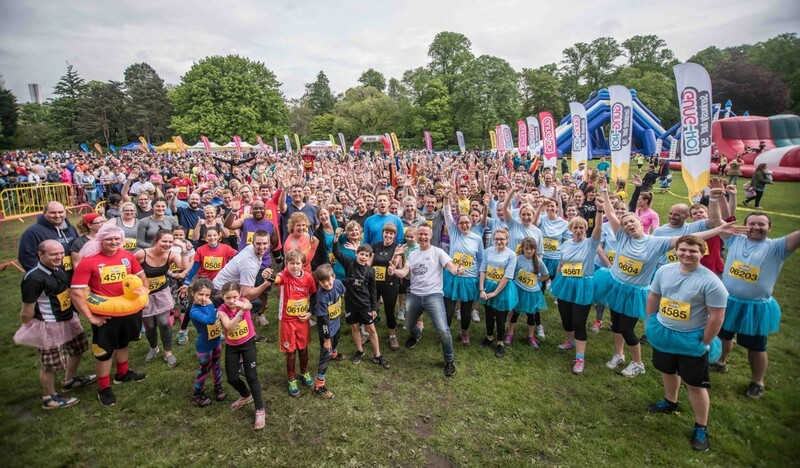 Despite the rain, there were smiles all round from runners young and old who conquered the course, brainchild of Cbeebies presenter Alex Winters, who hails from Cardiff. Pal Wynne Evans, who presents a daily show on BBC Radio Wales and is famous for starring in the GoCompare adverts, went Gung-Ho! with son Tal, 11. Wynne, who was running for Children in Need, said: “It was absolutely brilliant. What a great day. We spent about half an hour on the Walk on the Moon giant inflatable and it took three people to pull me over The Wall. “Unfortunately, when I next get a bouncy castle for Tal’s birthday he’s going to think it’s rubbish because he’s gone Gung-Ho! and been on the biggest bouncy inflatable in the world now! Alex Winters said: “It was the best one yet – it was amazing from all points of view. The atmosphere was just incredible, even though apart from two hours we had torrential rain all day. “The weather didn’t affect the spirit – people were climbing over obstacles then going back and sliding through the mud next to them. It was fantastic to see. Many runners took part just for fun, while others raised money for charities and other good causes. These included Gung-Ho!’s local charity partner Tenovus Cancer Care and national partner Children in Need. Pals Sarah Hougham, 39, and Sam Wade, 38, travelled to Cardiff to take part to raise money for Tenovus, after recently losing two of their friends to brain tumours. Ava Wright, 12, from Abergavenny was the first girl to finish the course while brother Arthur, 10, was the second person overall to complete the fun-filled 5k. 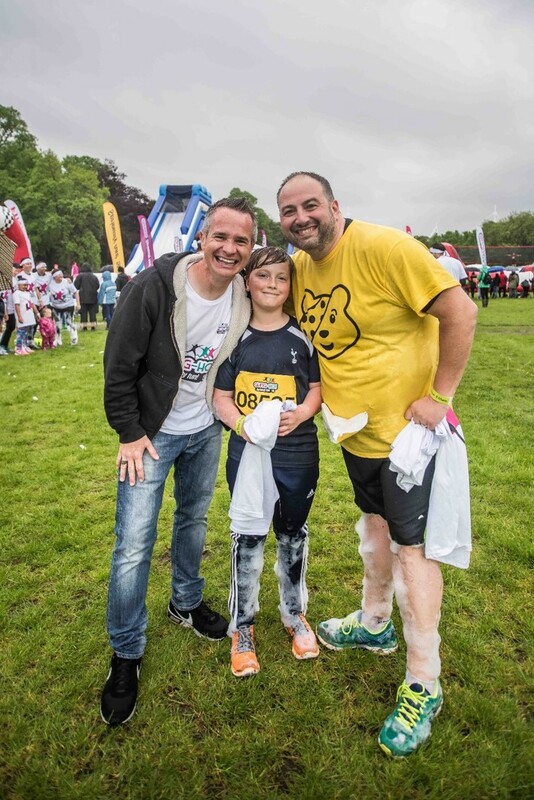 Jonathan Rigby, Director of Marketing at BBC Children in Need, said: “We were thrilled to see the amount of support in Cardiff for Gung-Ho! and BBC Children in Need. It was such a fun-filled day, if not a little crazy! Cardiff was the fourth in a series of 12 Gung-Ho! events across the country in 2016, with up to 60,000 people expected to take part in total. Tickets and more information about coming events are available at www.begung-ho.co.uk. Check out Gung-Ho! updates by searching ‘Gung-Ho! on Facebook and on Twitter, at @begungho. Runners, who must be at least 4ft tall, receive a free bib with race number, Gung-Ho! t-shirt and headband, while any spectators can attend for free and enjoy the food stalls and music.